MB’s Win475 is a turnkey, multi-function vibration transducer calibration system. It is used to perform low uncertainty, automated calibrations of accelerometers and velocity transducers. Calibration specialists deploy the Win475 for repeatable low-uncertainty calibrations, reduced calibration costs and calibration times, and maximization of metrology lab productivity. The Win475 calibrates virtually all accelerometer technologies, regardless of size and weight, including charge, low-impedance, voltage, servos, strain gauge, piezoresistive, capacitive, MEMS, TEDS, and AC- and DC-coupled. It can further calibrate both displacement and velocity transducers, even those with a built-in meter and no AC output. Win474 system Transfer Uncertainty values match or surpass more expensive alternatives. 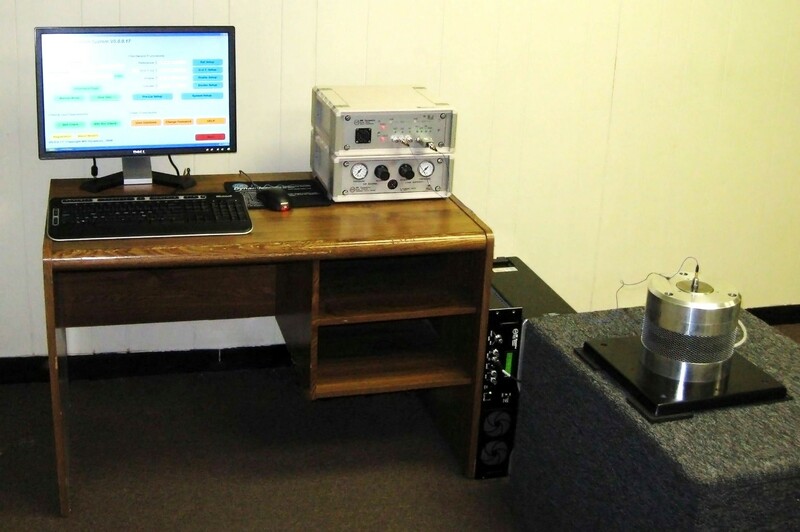 The Win475 system calibrates over a frequency range of 1 Hz to 10 kHz. It also uses FFT processing and filtering at each calibration frequency for low uncertainty measurements; makes transducer DC measurements, including ZMO, Z-in and Z-out plus shunt calibration; and minimizes operator error, via automatic, software-controlled signal conditioner gain setting channels for maximum signal-to-noise during calibrations. The Win475 and its CAL50 exciter perform calibrations to 35 g’s pk and displacements to 25 mm pk-to-pk, depending on the frequency and weight of the device under test (DUT). DUTs weighing <900 grams can be calibrated via the Win475 within performance specifications. The designation “Win475-Standard” refers to the Reference Standard Accelerometer (REF), a single-ended standard embedded within the CAL50 Vibration Exciter. The REF is calibrated according to ISO 16063-11 (primary calibration) using a laser vibrometer. REF laser calibration results in lower DUT uncertainties when the Win475-Standard is used for back-to-back DUT calibrations. 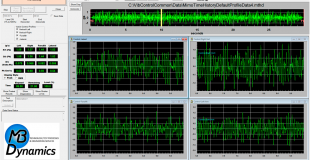 MB Dynamics also offers the “Win475-Basic”, where the REF is calibrated using secondary or back-to-back methods. The Win475 is a proven calibration solution, with an installed customer base exceeding 200 systems. 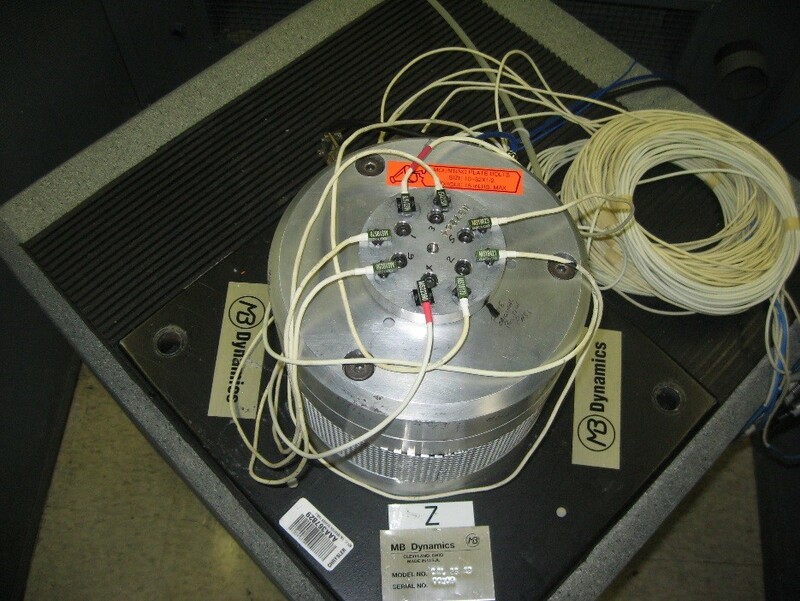 The Win475-Standard is also cost-justifiable, with as few as 50 transducers requiring calibration. The Win475 Calibration Product Family includes options for calibrations to frequencies as low as 0.1 Hz; air bearing shakers, allowing for sensitivity and phase calibrations out to 20 kHz; system configurations, in compliance with ISO 16063-21; resonant search of a transducer to 50 kHz; transducer transverse sensitivity measurements; simultaneous calibrations of up to eight (8) DUTs; shock calibrations of up to 13,000 g’s; calibrations over temperature extremes from -185°C to +800°C; and accelerometer amplitude linearity measurements up to 600 g’s pk. The ISO 16063-21 standard, “Vibration calibration by comparison to a reference transducer” describes the calibration of rectilinear vibration transducers by comparison to a standard that is calibrated by primary methods. 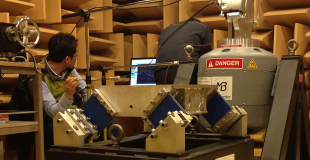 The frequency range is 0.4 Hz to 10 kHz, or as specified by a metrology lab. Per this ISO standard, typical values for electrodynamic exciters designed for frequency ranges of 10 Hz to 10 kHz are 200 to 1000 m/s² RMS acceleration and 10 mm pk-to-pk displacement. The vibration exciter has demanding requirements, including transverse, bending and rocking acceleration that shall be ≤10% at frequencies ≤1 kHz and ≤30% at frequencies >1 kHz. Total harmonic distortion over the whole frequency range shall be ≤10%. MB’s Win475-Standard, when used along with any MB air bearing exciters – Models CAL25HF, CAL25AB and CAL12AB – complies with ISO 16063-21. MB can supply an uncertainty budget for the Win475-Standard. The budget takes into consideration the uncertainties associated with REF laser calibration; REF drift over time, CAL25HF transverse acceleration; voltage ratio measurements, gain matching in the REF and DUT conditioning amplifiers, etc. Users looking to develop their own uncertainty budgets would start with the MB-supplied Win475-Standard uncertainty budget. Then, in accordance with the methods set forth in ISO 16063-21, users would combine significant in-laboratory uncertainty sources, including the DUT, to determine the attainable expanded uncertainties of their calibrations. The Win475-Basic and Win475-Standard provide low uncertainty, broad frequency range calibrations on one transducer, or DUT, at a time. However, some end-users use transducers over a narrower bandwidth, or do not require very low uncertainty calibrations each time that a DUT is calibrated, or require frequent verification of accelerometer performance where rapid calibration turnaround time can be traded off against bandwidth and uncertainty. For those applications, MB provides its MB Win475-Multi-DUT Calibration Option in two versions. For end-users with charge, IEPE, voltage mode, and capacitive accelerometers, the four DUT Option enables simultaneous calibrations of four identical model transducers. The nominal frequency range is 5–4000 Hz at up to 10 g’s pk. Over the 10–2000 Hz frequency range, uncertainty is <3%. This option uses a CAL50, the exciter in the Win475-Basic and Win475-Standard, with one REF at the center for conventional one-DUT calibrations, plus four satellite REFs for each of the four DUTs. The REFs mount under the Test Instrument Mounting Fixture (TIMF) which bolts to the CAL50 armature. For end-users with piezoresistive bridge-type accelerometers, the eight DUT Option enables simultaneous calibrations of up to eight piezoresistive transducers of the same model. This Option is used in multiple calibration labs supporting automotive crash testing. Here, numerous piezoresistive transducers are incorporated onto ATDs, whose sensitivities and valid outputs are measured before and after a test. The eight-DUT Option performs sensitivity calibrations over the frequency range of 10–4000 Hz, at up to 10 g’s RMS, plus performs static measurements on all DUTs, including ZMO, Zin / Zout and shunt. Six different shunt resistors can be selected, plus there is an external socket for a customer-selected resistor. This Option also reads an electronic ID on the sensor. This Option uses one of MB’s three air bearing shakers, either the CAL25HF (from the ISO 16063-21 Option), a CAL25AB or a CAL12AB – see the Calibration Exciter page for details. This Option uses one REF at the center for conventional one-DUT calibrations and the same REF for each of the eight DUTs. The REF mounts under the TIMF, which bolts to the air bearing exciter armature. The Win475 calibration system performs comparison calibrations of accelerometers and velocity transducers using sine and random vibration. The Win475-Basic and Win475-Standard perform sine calibrations up to 20 g’s pk, depending on the exciter, frequency range, and DUT weight. For accelerometers used in shock and ballistic applications, end-users often desire to perform calibration and performance verifications at amplitudes above 20 g’s. The MB 600 g Accelerometer Amplitude Linearity Option for the Win475 Calibration System calibrates and validates accelerometer amplitude linearity, or non-linearity, at amplitudes from 50-600 g’s pk at frequencies below 1000 Hz, using sine vibration. With this Option added to MB’s Win475 Calibration System, sensitivity deviations can be measured over a user-selected range of high amplitudes and up to four sine frequencies, yielding actual high-amplitude sensitivity results augmenting those from low-g sine calibrations. 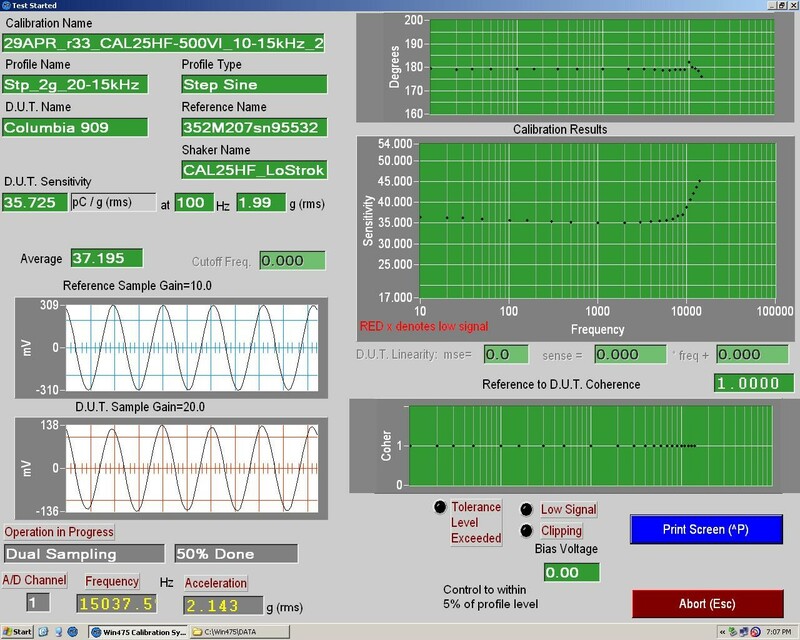 The graphic below shows calibration sensitivities which can be provided with the 600 g Option over a wider range of usage amplitudes than normal 10 g calibrations. A metrologist’s uncertainty budget may include a term to account for calibration uncertainties at 10 g’s, when a user is testing at significantly higher g’s. This 600 g Option enables the metrologist to reduce uncertainty by facilitating actual sensitivity measurements at higher amplitudes and multiple frequencies. The 600 g Option uses structural resonance of specially designed metal beams that have very low damping to create these high-vibration levels at the end of a beam. The beam is vibrated by an electrodynamic shaker that is further controlled by the Win475 software. The vibration at the end of the beam is measured by a REF, which is mounted underneath the beam with the DUT mounted directly above the REF. Four beams are supplied with the 600 g Option. Each beam has one frequency, namely, its nominal frequency, which coincides with its first flexible mode, and where the vibration created by the shaker is highly amplified. 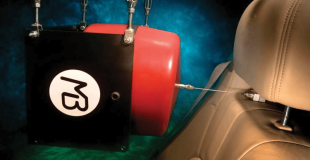 The MB Win475 CRASH-CAL automated calibration system is designed to calibrate the piezoresistive bridge-type accelerometers used in automotive crash test applications. This system can efficiently, accurately, and simultaneously calibrate anywhere from 1 to 8 units of the same piezoresistive sensor model, in frequency ranges up to 4000 Hz, utilizing the MB Dynamics Model CAL25AB air bearing calibration vibration exciter. In addition to the Model CAL25AB, a typical CRASH-CAL system further consists of an MB Dynamics Model 407-8X signal conditioner, MB 500VI power amplifier, CRASH-CAL software, and 475PCM module. The CRASH-CAL Option uses a 100 mV/g internal removable IEPE (ICP) reference accelerometer (REF) at its center for conventional single device under test (DUT) calibrations. 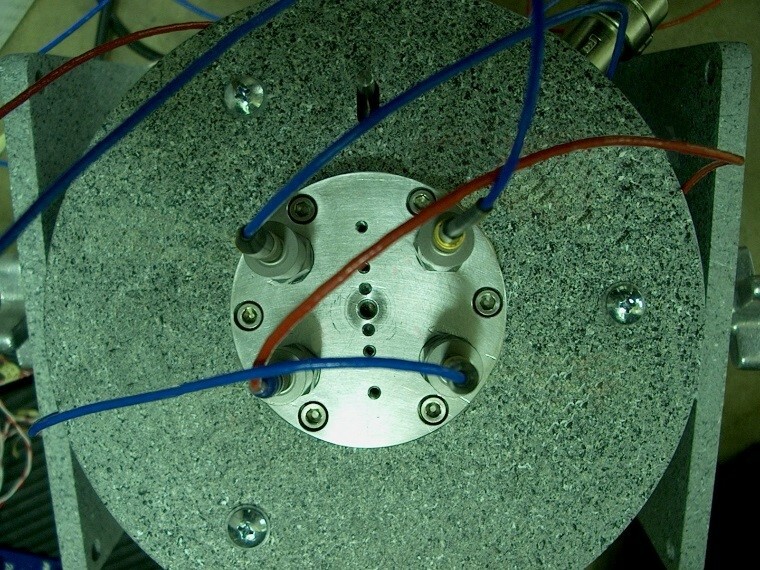 The same REF is used for calibrations of each of the eight DUTs, with the REF mounted under the test instrument mounting fixture (TIMF), which bolts to the air bearing exciter armature. The CRASH-CAL Option is one already in use by multiple in-house automotive crash test laboratories, in support of their calibration requirements to industry standards. Here, numerous piezoresistive transducers are incorporated onto ATDs, whose sensitivities and valid outputs are measured both before and after a test. The eight-DUT CRASH-CAL Option performs sensitivity calibrations over the frequency range of 10–4000 Hz, at up to 10 g’s RMS. It also performs static DUT measurements, including ZMO, Zin / Zout and shunt calibration. Users can select up to seven unique shunt resistors, with an additional external socket for a customer-specified resistor. The CRASH-CAL Option can also read onboard sensor electronic identification, such as “1-Wire” electronic serial number ships, or within TEDS piezoelectric accelerometers (per IEEE 1451). 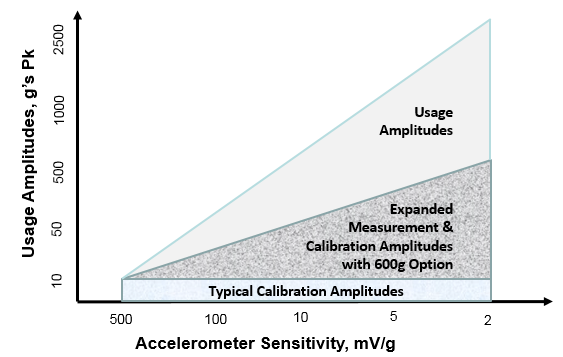 The unique and versatile automated accelerometer calibration capability of the MB Dynamics CRASH-CAL Option also supports automotive test laboratory compliance with both SAEJ211 and SAE2570 standards. Other global test standards may also apply. Please consult MB Dynamics for details.